I believe that it is correct to, in a work-off, trot very close to a trot fence. 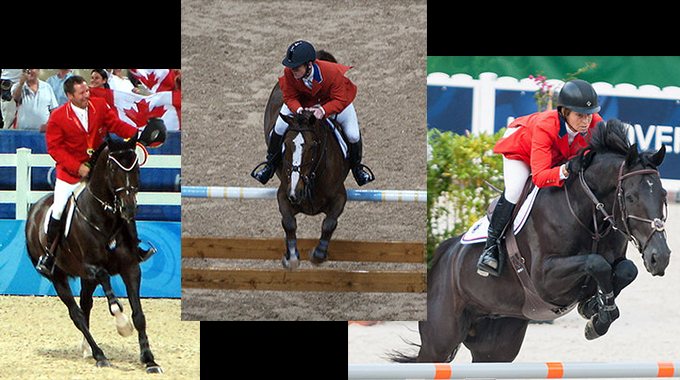 However, I’ve seen different riders handle a counter-canter challenge differently. 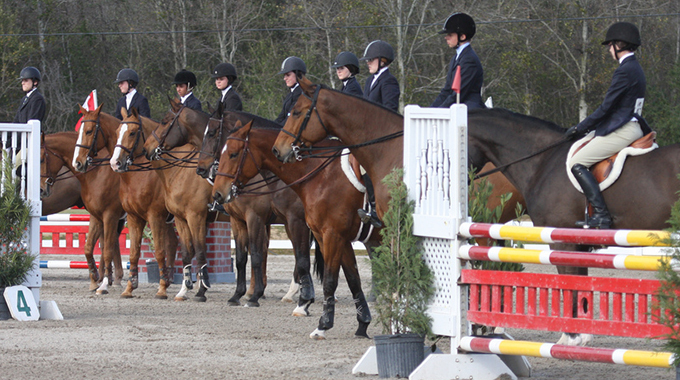 Ideally, I think a rider should try to land on and hold the counter lead. However, if the horse instead lands on the usual lead, what is the best moment to change to the counter lead? Earlier, to demonstrate one’s ability to hold the counter lead longer, or closer to the next jump, to demonstrate your confidence in asking for the counter lead with less room to spare? Thanks! It shows more ability to break to a trot nearer to the jump than farther away, as long as you can produce a good trot and quality jump. 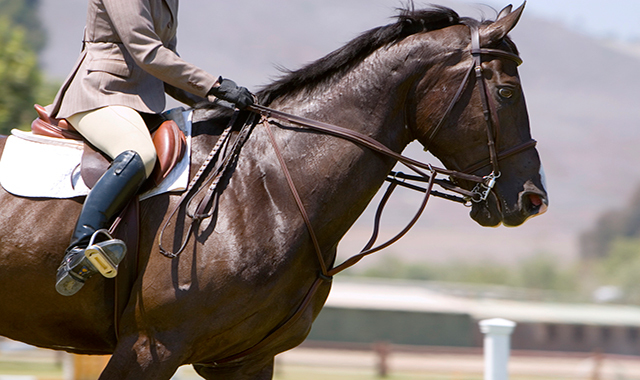 For the counter-canter, the difficulty factor lies in how early you can get the counter lead and hold it. Again, the quality of the pace, line, distance and jump are the most important. But all things equal, landing and holding the counter lead is best, followed by a flying change to the counter-canter, then simple change through the walk, then simple change through the trot. Earlier the better! 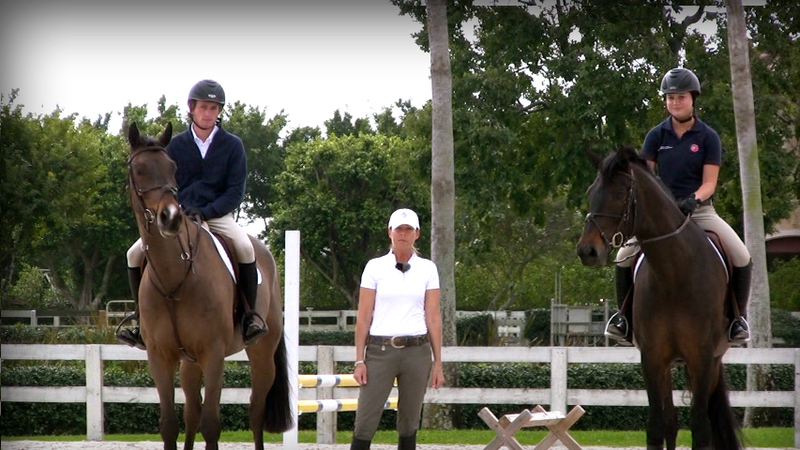 Missy reveals the exercise that she uses to make both her equitation horses and jumpers comfortable with downward transitions and trot fences. 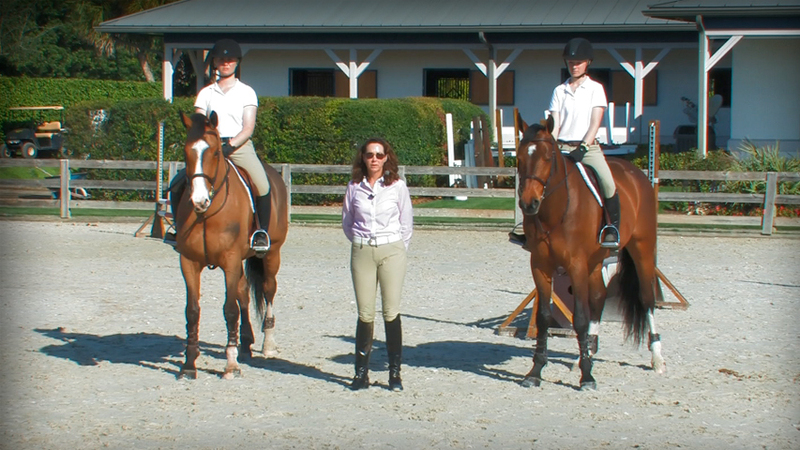 Missy has designed a drill that, with practice, will lead to the mastery of this sophisticated test that often appears in equitation classes. Ask a Stallion, Tell a Gelding, Negotiate With a Mare… Myth or Truth? 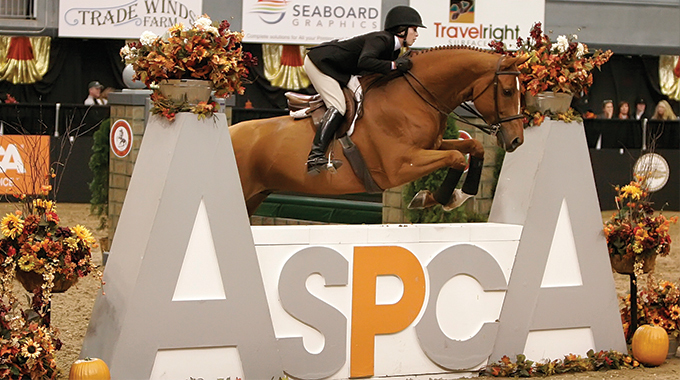 Linda Allen and Julie Winkel discuss if a horse's temperament and/or rideability is affected by their gender.